It’s that time of year again! Time to unpack those dusty ski boots from the closet and hit the slopes. With amazing skiing destinations around the world, there are many mountains to flock too, but for those who want to stay (somewhat) close to home, or those traveling to North America for the winter, check out these skiing destinations! Here are my favorite ski destinations in North America! The sheer size of Whistler Blackcomb’s ski slopes are enough to make anyone thirsty for some action. This Ski Resort is the largest on the continent and boasts 7,300 skiable acres to test the beginner to the most experienced skier. Whistler’s Ski Resort was originally conceived around the 1968 Winter Olympics, but when the bid was withdrawn, it still remain as one of the top resorts in the Western Hemisphere. Its impressive Peak 2 Peak Gondola offers transportation via cable car between Whistler and Blackcomb. Since the 2010 Winter Olympics, it has enjoyed a well-deserved, popular ski destination for both Canadians and Americans! 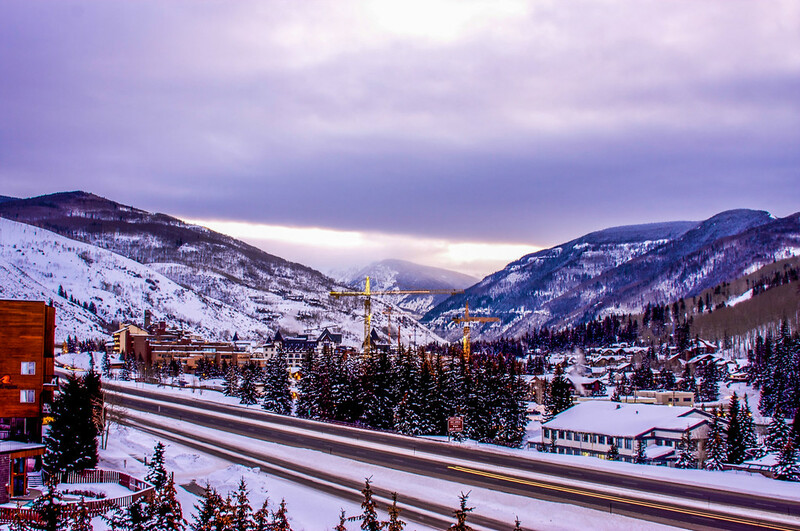 There are fewer ski destinations more popular than Vail—surrounded but the impressive slopes of the Gore Mountain and Swatch Mountain Ranges. Miles of picturesque powder and gilded luxury hotels draws thousands of skiers each year. Opened in 1962, it currently is the third largest single mountain resort in the country. And the village—did I mention the Bavarian-style chalets, pedestrian-friendly streets, ice rinks and horse-drawn carriages? Fraser is a great ski destination for adventurers and families, and Winter Park Resort is Colorado’s oldest operated ski resort and boasts more than 3,000 acres to challenge newbies and experts alike. Located just 67 miles from Denver, it’s just a short jaunt away for weekend-goers—which means crowds on Saturday and Sunday. There are seven distinct ski territories designed to give you that world-class thrill. Practice your bowl skiing in the Parson Bowl Territory or watch the jumpers in the Terrain Park Territory. It’s the place to be in the Colorado winter! Mammoth Mountain is the perfect California-style winter getaway. With a lively village and comfortable, and luxury lodging surrounding the mountain, there is always a good time to be had- on or off the slopes! Mammoth boasts over 28 trails, and 28 lifts including spectacular high-speed gondolas that take you all the way to the top. Even if the idea of making your way down the entire mountain makes you paralyzed with fear- the ride up and down is breathtaking. With numerous winter activities for the family, like snowmobiling and the tube park, to the fun nightlife in The Village, Mammoth has something for everyone! 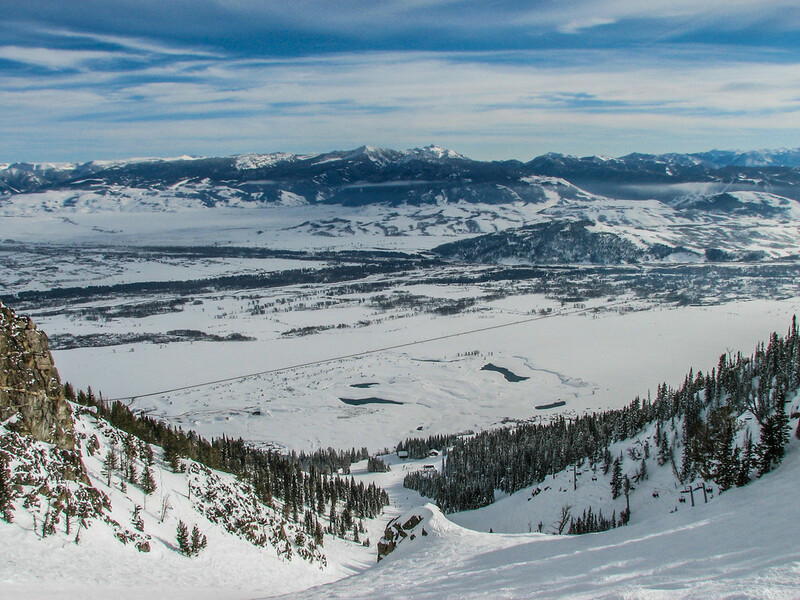 Jackson Hole has risen from its logging and ranching industries to become one of the top ski destinations in the US. Smack dab in miles of national forest and parks, the area is relatively unspoiled. The vibe of Jackson Hole is wonderfully western—what with saloons, wooden sidewalks and pool halls. Staying here feels like an adventure in itself! Though hit with its fair share of powder and snowstorms, the slopes themselves aren’t too steep—meaning it’s great for beginners and intermediates. Aspen is known for its charm- the town itself is small, lacking the crowds of a bigger resort, but its cabins and ski chalets are perfect luxury. It’s a delightful place to stroll and enjoy hot cocoa as well as ski. Beginners and advance skiers alike can hit any of the four slopes—Aspen Mountain, Snowmass, Aspen Highlands and Aspen Buttermilk. In between strapping on your skies, be sure to try out the fancy shopping, funky museums and fun art galleries while you’re there. Check out The Ski Week in Aspen! 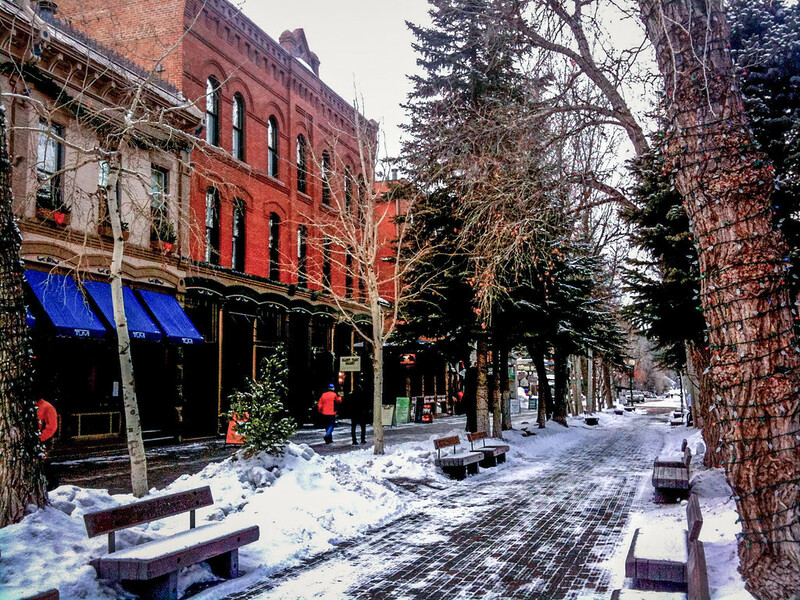 The Ski Week in Aspen is much more than skiing and high altitude après-ski parties. It is just as much about the friends you make and the experiences you share taking part in the smorgasbord of events. Long table lunches, yoga classes on the mountain and torchlight rides are just the start- along with one après-ski event on each mountain throughout the week. You can also join for a long weekend if the week is too much ‘fun in the snow’ for you. Shop These Winter Travel Essentials! Recently found your blog and I’m loving it! I’m ski lift operator at Copper Mountain, Colorado and personally think it’s the best resort compared to Vail and Aspen. Here’s why, Copper Mountain gives you the feel of a big mountain, but smaller compared Vail and Aspen. I’ve skied at Vail this past winter for the first time and loved it, but it was so big that we had to take a lot of cat tracks to get from point A to point B. While you could send it and skip some of the cat tracks, that’s not a good idea at most times due to rocks, icy patches, and bushes or grass sticking up! Vail’s back bowls are great, but get so much sun and not as much snow as Copper! I’d ski at Vail again because I love to ski and snowboard, but Copper is my home now and I never get tired of hitting the 12’s at Copper! So if you like to ride or ski lots of powder and get pitted, Copper is a great place for that.